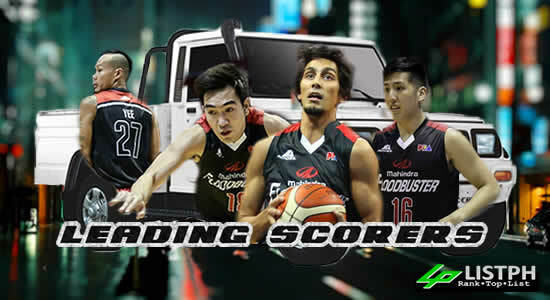 The information below contains the list of all the leading scorers for the Mahindra Floodbuster roster for the 2017 PBA Commissioner's Cup (the 2nd conference for the 42nd season of the Philippine Basketball Association). Individual scores included are from the elimination round, quarterfinal round, semifinal, and the finals or championship round. Note: Scores for the quarterfinal, semis, and finals will only be possible if the team reaches the said round. Please refer to the list below for more details.